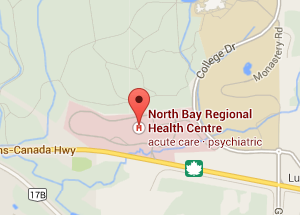 The North Bay Regional Health Centre provides laboratory support services for healthcare providers in various ways. All patient specimens must be accompanied by a fully completed, signed requisition form. The Ontario Ministry of Health and Long Term Care Requisition Form. Ministry of Health and Long Term Care requisition essential information. The names on the requisition and the specimen container must match exactly; any unlabelled specimens received will NOT be processed. 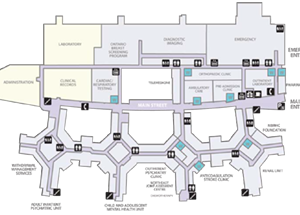 All cytology, histology and transfusion medicine samples must be accompanied by a completed cytology, histology and transfusion medicine requisition. Repeat testing/Standing order testing for individual patients can be requested for a period of up to 1 year without further documentation. All the NBRHC test result reports are computer generated. The format is specifically designed to flag any results outside the reference interval. The NBRHC Laboratory shall report all critical results immediately to the clinical personnel responsible for patient care 24 hours a day, 7 days a week. Most non-critical routine test results are available in 24 hours; others require more complex testing or may have to be sent to a reference laboratory. These results can take several days to weeks to report. 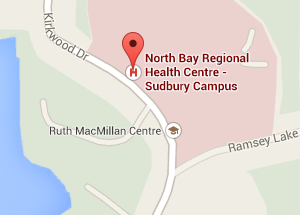 North Bay Regional Health Centre will provide supplies and containers required for the collection of laboratory specimens referred to NBRHC.